This month two bombs have exploded in areas of Bangkok that are frequented by both Thais and tourists. The police and military are currently investigating. Video images are available in and around the areas where the bombs detonated. The police are working to apprehend those responsible and are taking steps to increase security to prevent further incidents. Foreign embassies are advising their citizens to exercise caution when traveling in Bangkok and all areas of Thailand. More information will be posted as developments occur. 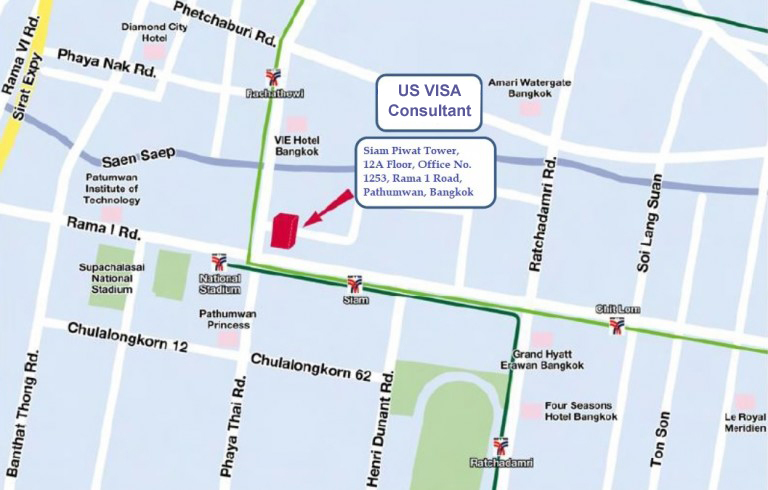 Can I start a visa application and expect smooth processing given the military coup in Thailand? On May 22nd, 2014 the Thai military staged a coup to stop the violence between two opposing political groups. The result is a higher degree of safety for all people. Thailand has never been safer or more peaceful than it is right now. Notwithstanding the inaccurate reporting from international media outlets. The military coup has not had any effect on our ability to serve our clients. There has been no effect on our clients, or the quality of services we provide to our clients. The Bangkok airports are fully operational and unaffected, with no signs that they will be effected. 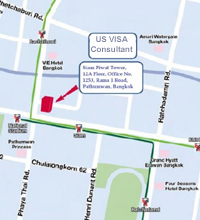 The areas of Bangkok where our office is located, the U.S. Embassy is located, the Embassy approved hospitals are located, and all other areas where we travel for visa processing and marriage registrations are unaffected. Access to all Bangkok hotels have been unaffected. Where we travel in Bangkok we see little evidence of a military coup, and if it were not for what we see on the news we may not even be aware that there has been a military coup. We will update this information if events warrant. Additional information regarding events as reported by Thai people. While military coups are generally seen as violent and destructive, it’s actually quite the opposite in Thailand. A recent poll shows that 75% of Thai people are happy that there has been a military coup. Since 1932, Thailand has had 11 successful military coups. The current military commander is a refreshing voice of reason, common sense, and straightforward expression regarding the facts of what has transpired between the opposing political groups. The Pheu Thai party, that has politically controlled the government since the last election, amusingly positions itself as a government elected by the people in free elections. It is common knowledge that the Pheu Thai Party pays for votes as a way of winning elections, funded in part by its billionaire fugitive leader. Although poorly articulated by the protesters during the last several months of protests, the protesters would welcome new elections after reforms have been put in place. This means they would welcome free and fair elections where the Pheu Thai Party can’t buy votes. The reality is that most Thai people living in the rural areas accept money for their votes. Educating these people and/or preventing them from accepting money for their votes is necessary if Thailand is ever to have truly free and fair elections. International news outlets and foreign governments only seem to respond to the rhetoric of the Pheu Thai Party and the violent political group to which it is closely aligned, deceptively named The United Front for Democracy Against Dictatorship (UDD). This is the group that has shot and bombed peaceful protesters and innocent children. They have fallaciously positioned themselves as the victims of the military and an unelected government in an attempt to gain the support of the international media and governments like the United States. They profess to want free democratic elections and they push for elections knowing they will buy the election by buying votes, as they have done so many times. Unfortunately, they have been successful in convincing international news outlets and foreign governments of their misrepresentations. The international news outlets and foreign governments have been deceived as to the true motives of the Pheu Thai Party and the UDD by reporting that they only want free elections and that they are the victims of an undemocratic system. Nothing could be father from the truth. Simply stated, the International news outlets and foreign governments have mislabel the bad guys as the good guys and good guys as the bad guys. It is an implied responsibility that those who report events get their facts straight. Reporting events as black when they are white and white when they are black is irresponsible journalism, and a complete failure to investigate the facts of what one is reporting. In the last few months the UDD has killed 28 and wounded hundreds of peaceful protesters. The military has stepped in at this time to stop the UDD from killing and wounding peaceful protesters who support an opposing political party, and to prevent the UDD from inciting civil war. "I am so happy Saowarak got her K1 Fiancee Visa. To say thank you for all the help"
"I’m aware there are horror stories of less than professional law offices offering visa services and not producing. You will not need to worry about that one bit if you use U.S. Immigration Legal Advisors offices. I’m sure after your consultation you will be convinced." "I want to thank you for all of your help with the visa for Patch"